LA Metro launched a bike-share program in Pasadena on July 14, 2017 with 300 cycles available at 30 stations located around the city. A symphony of bike bells echoed through the streets of Pasadena Friday morning as the Los Angeles County Metropolitan Transportation Authority rolled out a bike sharing program in the city. 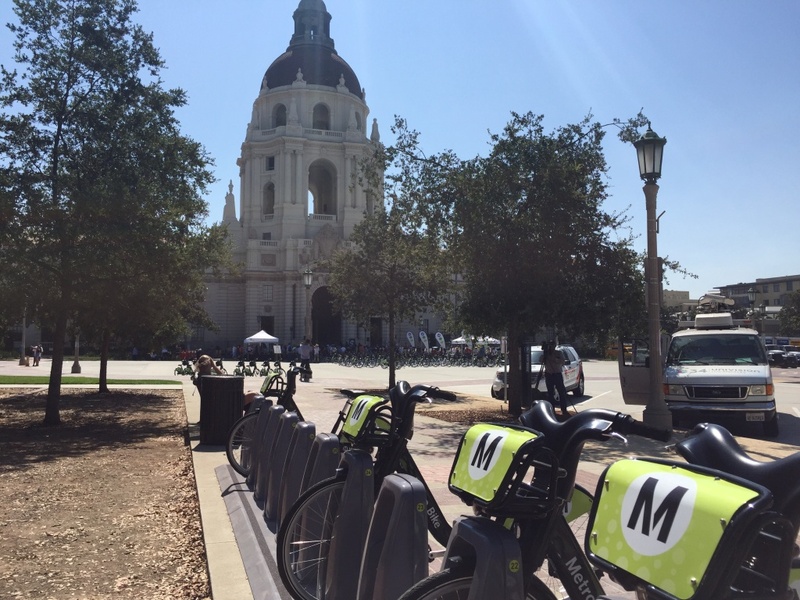 Pasadena is the second location for Metro's short-term bike rentals after the agency launched the program in downtown Los Angeles last year. San Pedro and Venice will be the next areas to get Metro shared bikes later this summer. 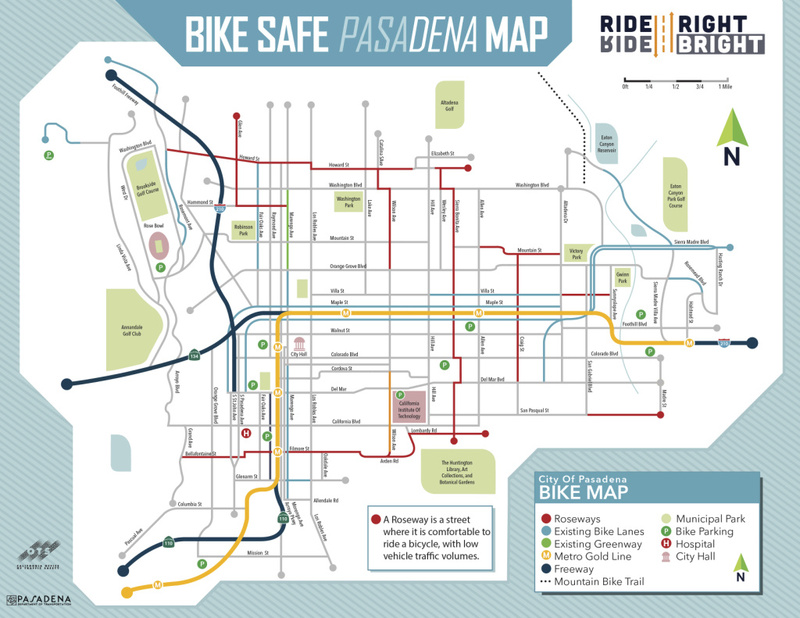 In Pasadena, 300 bikes are located at about 30 stations throughout the city. Users can check them out for short trips and then return them at any other station. The system has been seen as a good way to bridge the so-called first or last mile gap between transit and destinations. 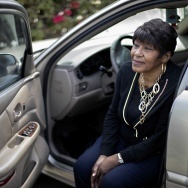 "I just think it’s great," said Pasadena resident Jenny Nielson, who gave up driving several years ago and is excited to have another option for trips that are a little too long to walk. Nielson hopes to save money on Uber and Lyft rides and get a little more exercise by using the bikes. 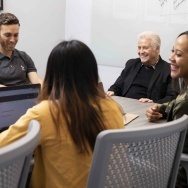 The price to check one out varies by membership level, with the basic one-time, walk-up rental costing $3.50 per 30 minutes. Nielson signed up for an unlimited monthly membership, which costs $20 and allows for unlimited rides of 30 minutes or less, but she was a little worried about keeping her rides to that time. "Maybe I think my destination is 30 minutes and then I realize, 'OK, this is a little harder than I thought,'" she said. "Will I have to keep checking the bike in and out every 30 minutes?" Avid cyclist Lori Patnode is more concerned about safety issues. 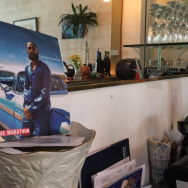 "I hope it makes the city more bike friendly and gets more bike lanes and bike paths and stuff like that," she said. A study published last year showed that streets with protected bike lanes attract more than double the number of bike-share riders as streets without them. 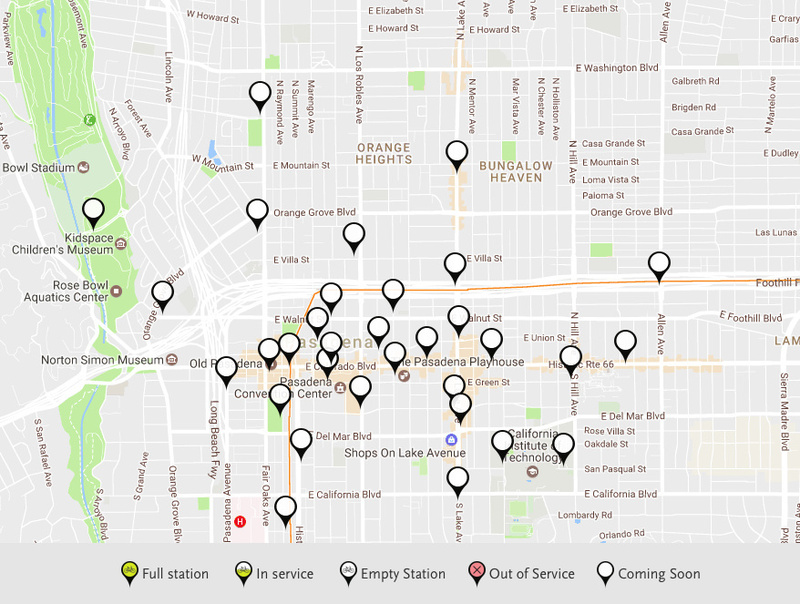 Pasadena has expanded its bike network in the months leading up to the bike-share launch, but many of the major streets and connections to the Gold Line still do not have bike lanes.